Minneapolis’s Above the Falls area is a dream for those who love the juxtaposition of beautiful natural spaces with heavy industry. It runs upstream of St. Anthony Falls to the northern city limits, and was officially designated in a 2000 city plan that reinforced Horace Cleveland’s 1880s vision for continuous parkland and trails along the Mississippi River in Minneapolis. This vision is in varying stages of implementation. Currently, Above the Falls offers a wide mix of parks: wonderful, natural riverfront parks, parks still in the planning or development phases and many active industrial properties yet to be publicly acquired. We'd like to share with you some of the places to visit and enjoy today, as well as spots where you can return to witness this historic transformation first-hand. North Mississippi Regional Park is a 67.2-acre fully-established natural gem hidden between Interstate-94 and the Mississippi River in North Minneapolis. During this chilly weather, visit the Kroening Interpretive Center to learn something new about the river and then head outside to snowshoe the beautiful riverside trails. In the summer, plan to picnic in the shelters and hike or bike on floodplain forest and prairie trails. The park is also a perfect gateway for those looking for a bike or kayak adventure. Here, you can easily connect to the Minneapolis Grand Rounds trail system through a pedestrian tunnel that runs underneath I-94 near the southern end. The path will take you along Shingle Creek, past Shingle Creek Falls and right by the first-ever public natural swimming pool in North America and beyond! The park also provides the opportunity to rent a kayak, paddle down to Boom Island Regional Park, rent a Nice Ride bicycle and pedal back to your starting point. On your paddle, be sure to take note of the heron rookery located on the island just north of the Lowry Bridge. When venturing south toward downtown, much of the riverfront in North and Northeast Minneapolis is blocked off to the public by active industrial use. There are, however, a few developed parks and public spaces to visit along the way. 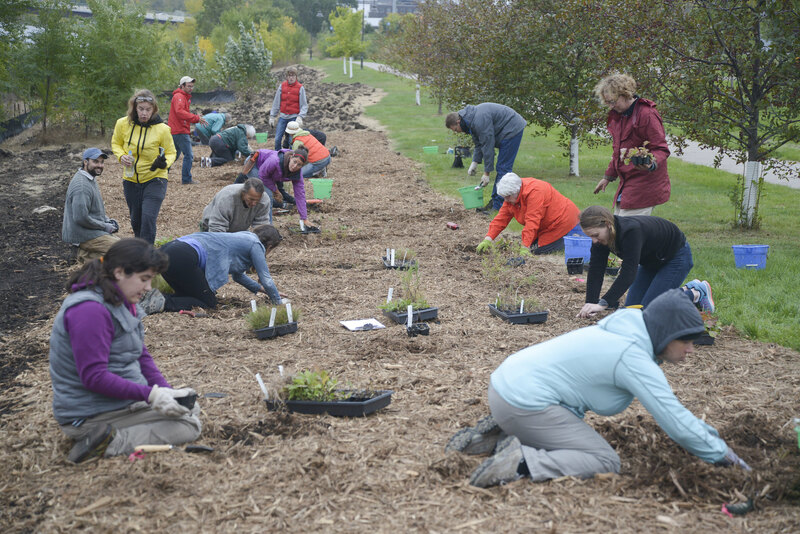 Along the Lowry Bridge in Northeast, check out the Mississippi Watershed Management Organization Stormwater Park and Learning Center to see how beautiful river-friendly landscaping can be, learn about the river and even wade into it. Continue downstream on the east bank to visit Sheridan Veterans Memorial Park. Right next to the memorial honoring all veterans and celebrating peace, is one of FMR’s beautiful, established rain gardens, now maintained annually with the help of our Above the Falls River Stewards volunteers. And a new picnic shelter and nature play area will be built here in 2018. 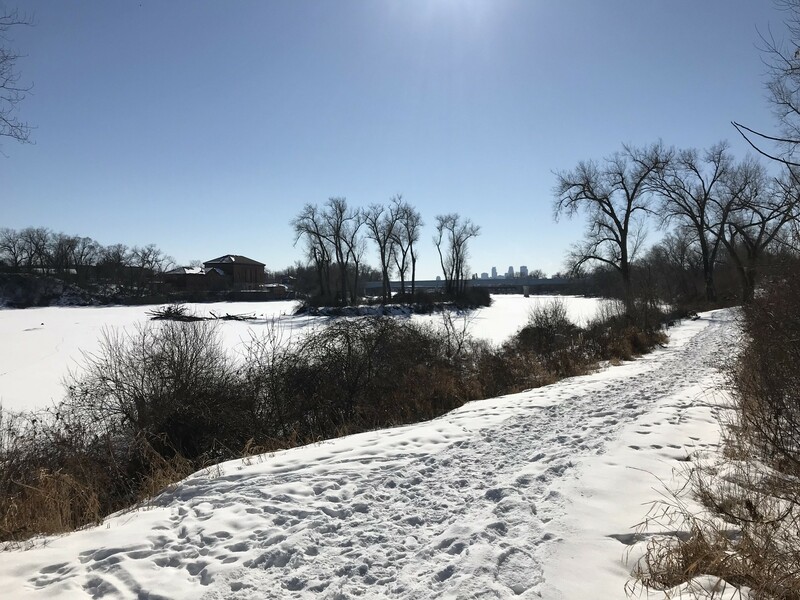 And finally, after years of conflict regarding easements and waiting for industry turnover, trail users can now enjoy riverfront trails on both sides of the river running from just north of the Broadway bridge to downtown Minneapolis and beyond! "Restoration" means several things in the Above the Falls area. Restoration of public access to the river is a major focus of the current planning process for the Upper Harbor Terminal, a 48-acre closed barge terminal in Northside. Due to existing industrial uses, this site is normally inaccessible, but the public is welcome during the Mississippi Mushrooms Weekend Market. Known for its signature storage domes (see photo above), it is a unique riverfront destination. And in a couple years or so, it should look very different. Ideas for redevelopment include a riverfront park, an amphitheater and a mix of housing, retail and light industry. FMR has also been pushing to improve pedestrian connections to this site from the heart of the Northside community. 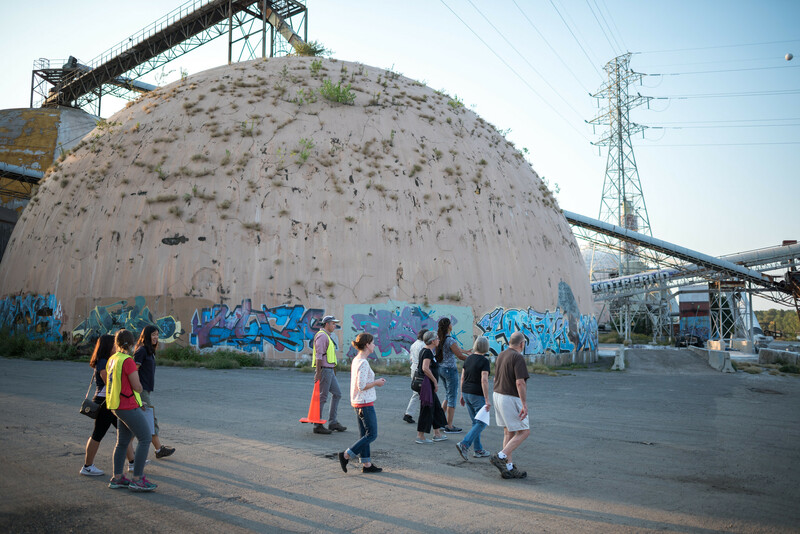 So far, this has included research as well as bringing residents, community leaders, elected officials and staff from various agencies together on walks to the river to gather their feedback and ideas to improve pedestrian access. Restoration work of the habitat variety is being led by FMR at Ole Olson Park. It includes a huge prairie demonstration garden (look for the mulched prairie by the trail) maintained by FMR volunteers. We'll be adding 1.3 more acres to this prairie in 2018, resulting in 3.3 acres of prairie stretching all the way from the park to West Broadway Avenue in 2018. Visit often to watch the progress and take in the great view of downtown Minneapolis. Hop across the bridge and down the east bank trail to the Scherer Brothers site to view the return of Hall's Island, where the reconstruction of an entire island is happening right now! And thanks to our friends at the Mississippi Watershed Management Organization, you can watch the restoration work in progress on their Hall's Island cam. Whether kayaking to the rookery or checking out the raingardens and parks, don't forget to support local businesses. When you head out, use a tool like Google maps to find a plethora of delicious restaurants, art galleries and other community institutions to visit. FMR continues to play a role in increasing public parks, trails and access to the river in North and Northeast Minneapolis. We're also proud to stand with local environmental justice efforts to eliminate airborne lead-poisoning and cancer-causing emissions by riverfront industry and minimize displacement of local residents as new riverfront developments are created or come online. If you live in North or Northeast Minneapolis and would like to advocate for the Above the Falls riverfront, let us know! And if you don't live in the area, but would like to be involved in local river protection efforts, we'd love to hear from you, too. 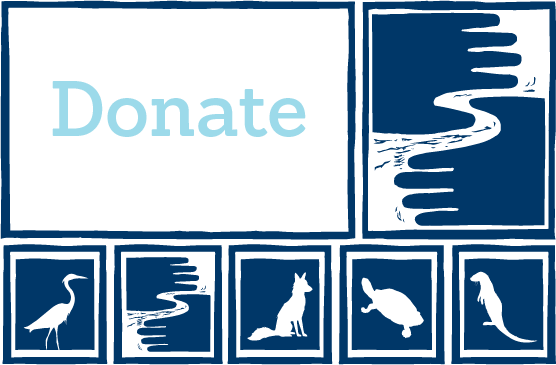 Sign-up to be a River Guardian and be sure to include your address (ZIP included) and select “River Corridor” as one of your interests. We look forward to hearing from you! Zoom in to explore this interactive map. Click the stars to learn more or view in full-screen via the squarish icon top right. This is part of FMR's 25 Special Places project, which we undertook to celebrate our silver anniversary year and the metro Mississippi River in 2018. We've compiled all these places into our Explore the River page, an interactive Google map and set of guides to help you get to know the river that shapes our metro area.